London Barre, a boutique barre studio in the heart of Roslyn, is on a mission to revive what was once New York’s ultimate fitness craze. London Barre is home to the original Lotte Berk technique, unspoiled by the various alterations that currently plague other barre methods. It offers something completely fresh to New Yorkers—the original, authentic barre method as Berk first intended. More than 15 years ago, the nicknamed “ladies who crunch” of Manhattan were devastated when they heard that the Lotte Berk Studio was closing its doors forever. From the ruins of this legendary exercise program, London Barre was born. Lotte Berk, the woman who kickstarted the modern fitness industry, was a Jewish ballerina in Nazi Germany who fled to Britain with her dancer husband, Ernest, and their infant, Esther. When she aged out of dance, depression hit, but out of her despair came the first of its kind fitness classes, which she began in 1959. Before Berk’s classes, the fitness world was limited to playing sports and going to a gym, but she introduced exercises based on dance—and the pelvic tilt, which protects the spine. Fairfax traveled from England at the end of April to visit the London Barre studio—notable because this is the first time she will be back in New York since the opening of the Lotte Berk Studio in New York City in 1959. Mozo had tried every barre class out there, but ultimately became bored due to the lack of brain stimulation to keep her body engaged. 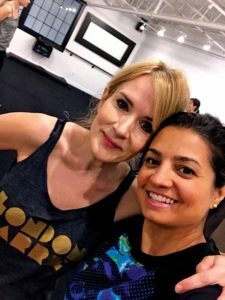 As she put it, “from the very first move [using the Lotte Berk technique], a wave of emotion came over me—I was home.” What struck the owner about this method was the intelligence behind the movements as every move, no matter how small, had a place and a purpose. The London Barre owner has always loved to dance. She danced because she wanted to, and because she loved it, not because she had to or because it was considered good exercise. When she stopped dancing and chose a different career path, her quest to find a form of exercise that would channel the same exhilaration and physical results she once experienced as a dancer, seemed to be neverending until she discovered the Lotte Berk method. The physical benefits of this full body workout transform your entire shape. Gracefully vigorous, the technique is rooted in not just dance, but yoga and physical therapy. 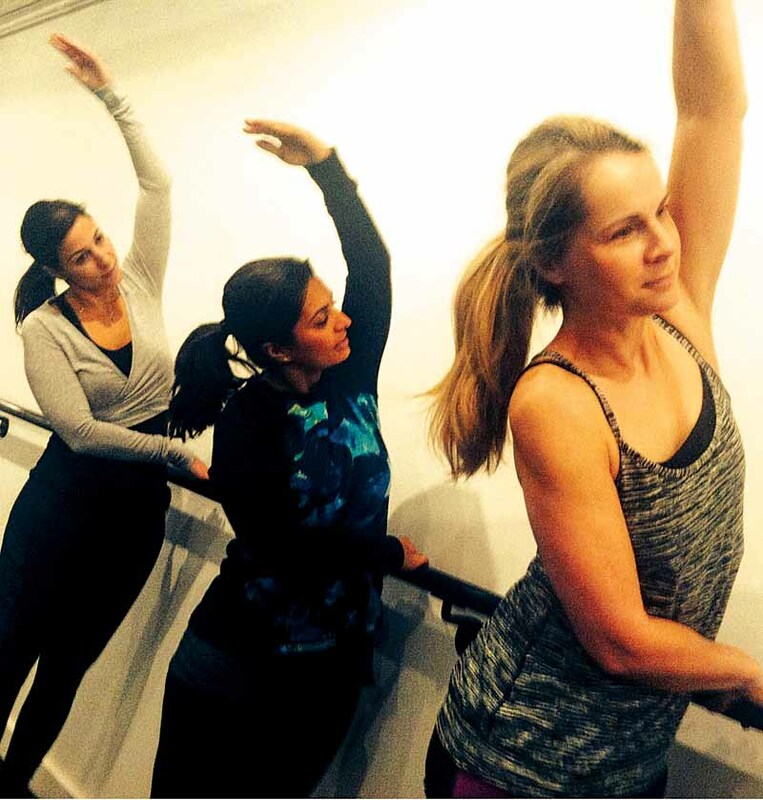 Get flexible and strong at London Barre. Without Lotte Berk, the barre fitness fever of today would not exist. Berk was the designer of the ideal female form at the time, which is why celebrities and elites of the 1960s rushed to her London studio. But, today, in an exercise scene cluttered with barre classes, what is it that makes London Barre different? “This is like asking, ‘What is the difference between owning a Hermès Birkin bag and a knockoff?’” explained Mozo. The secret lies in the method—the moves and their sequence. Parallel to dance, Pilates, yoga and martial arts, there is an actual skill to master. While steps dubbed Good Dog, Half Banana and Pluto’s Snuffles will make you smirk, you won’t be laughing when you actually try these excruciating moves, but that means they’re working. 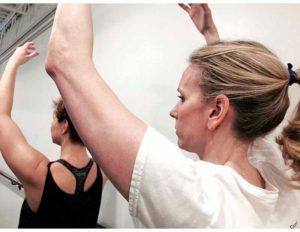 Unlike many of the other classes out there, London Barre honors the artistic integrity of where these practices originated. This total-body workout reflects the expression Lotte demonstrated as a ballerina, rather than simply going through the motions. Instead of the typical gym masking as a studio, London Barre captures a joy and freedom normally experienced by trained dancers, but in a group-fitness setting. Barre connoisseurs will immediately notice how unlike London Barre is compared to any barre class they have ever taken, from the invigorating dance-inspired warm up, to the “final spinal,” the last part of class for stretching out the lower back. For those new to barre fitness, they will only know London Barre as their happy place. Lotte Berk was never a ballerina! She would have been horrified to have described as such. She was a modern dancer.